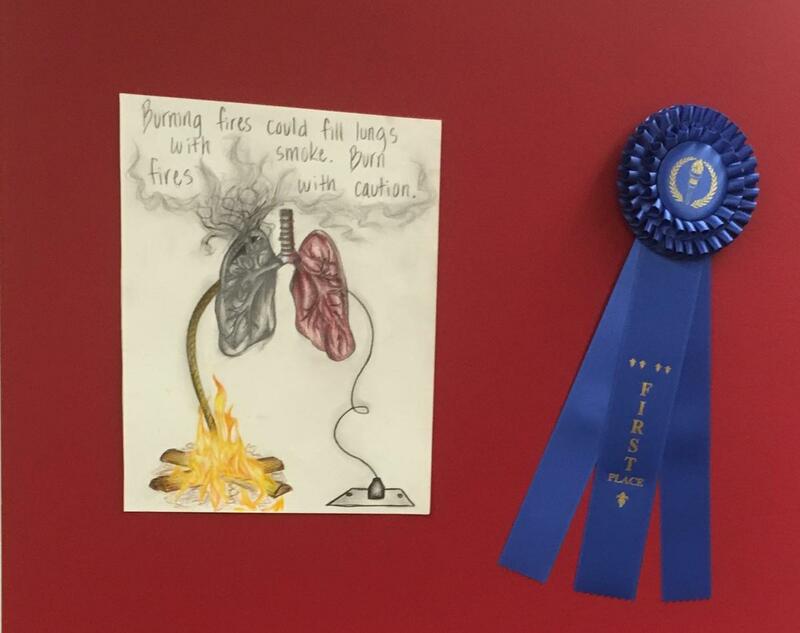 This is the fourth year that students in the San Lorenzo Valley Unified School District have had the opportunity to participate in the Air Quality Art Contest! The Valley Women's Club, in cooperation with the Monterey Bay Air Resources District, wants to create awareness of the poor winter air quality in SLV by encouraging all residents to be careful when using wood stoves, and to burn cleanly so that we can reduce smoke and protect SLV's air quality. This is the fourth year that the SLV school district has participated in this Art Contest to help bring about this awareness. Jen Parks and Nancy Macy, Valley Women's Club, Ann O'Rourke (Executive Assistant) and Dave Frisbey (Planning & Air Monitoring Manager), Monterey Bay Air Resources District, and J.M. Brown, Supervisor McPherson's Analyst, were all present to congratulate and present the awards to our winners. 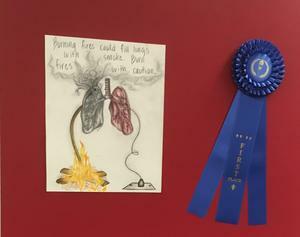 The winning artwork is on display on the first floor of the County Building, 701 Ocean Street, Santa Cruz, until November 30th.